Welcome to jayslagle.com, the official website for, you guessed it, Jay Slagle. Jay isn't quite world famous. Heck, he's probably not even famous in his own neighborhood. However, he has written two pretty awesome children's books entitled Jack and Noah’s Big Day and Jack and Noah's Big Election. Both books are available online at Amazon.com or CreateSpace.com (see Buy Books tab for links). This website is full of nonsense, so feel free to stick around for a while. If you think the website is funny, then chances are that you’ll love the books. The pitch to parents: This is the first book of the series. At just over 200 pages in large type, it's the perfect book to be read aloud at home or school. It's also an excellent choice for a younger reader or an older child who's looking for a fun alternative to video games or TV. This is a text-only book, but the words come alive through the crazy antics of neighborhood kids (especially Crazy Luke). We've spoken to countless kids who read the book several times a year because they love the characters and the story. The book doesn't include big words - let's face it, Jay doesn't know how to spell big words - and it's a great book for ages 6-14. If you judge the books by their titles, you might think the books are only about boys. However, there is no shortage of strong girl characters. Greta and her BFF Delaney save the day again and again with extreme computer skills and a natural gift for leadership. Girls will love these books as much or more than boys. The story: After five straight rainy days to start the summer, eight-year-old best friends Jack and Noah realize summer is going to be awfully long unless they find something fun to do. When they add up how much free time they’ll have the whole summer, they agree that they need to do something huge – something that will take all summer to accomplish. With ten weeks of summer remaining and Jack’s birthday just days before the start of school, they decide to plan the coolest birthday party ever for Jack. While Jack and Noah are pretty smart kids, their parents don’t expect much to come from the party. In fact, when the parents quickly decide that the boys can’t use their college money, it seems that they might have the worst birthday party ever. However, the boys don’t give up. They start a summer camp, and then a neighborhood slushie stand. It’s not as easy as it sounds, though. They also find a way to lose over $500 at the July 4th fireworks show. Along the way, the boys encounter several visits from the police department, have regular appearances on television, and spend quite a bit of time with their lawyer. That’s pretty unusual for eight-year-olds, but that’s what happens when your summer includes an exploding house, elephants marching down the street, and a visit from celebrities. With a little help from their families and friends, Jack and Noah’s coolest birthday party ever becomes a reality – and also provides a few lessons about charity, responsibility and persistence. The pitch to parents: The first book in the series covered the summer after Jack and Noah's second-grade year. 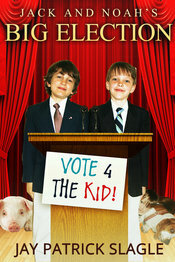 Big Election resumes the story in September as the boys settle into third grade. This book is in the same large font, 500 pages long and the perfect follow-up to the first book. 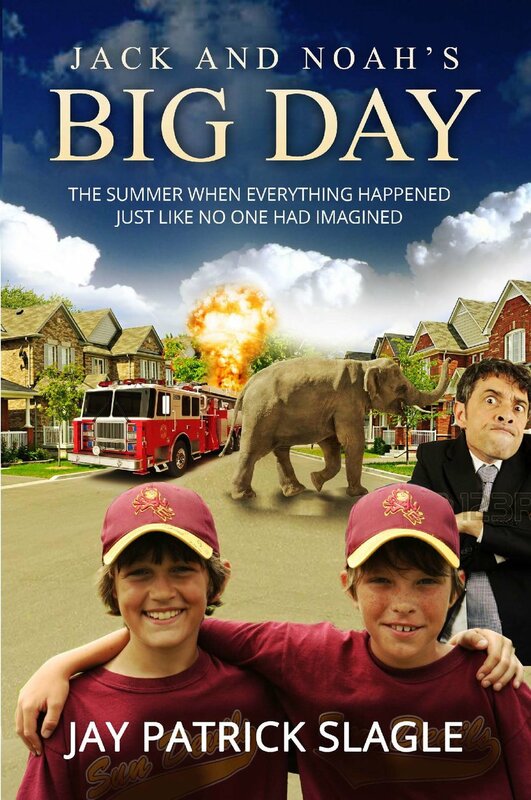 If you read aloud the first book to your child, have them re-read Big Day by themselves before they tackle Big Election on their own. The boys' antics are sure to please children from ages 6-14, and the longer book will keep your children entertained for hours on end. It's a longer book with more jokes, more disasters, more Crazy Luke and more villains. The story: After Jack and Noah spend the entire summer planning the coolest birthday party ever, their parents hope for a quiet start to third grade. That all changes when Greta adopts a pig, Noah runs for student council, Jack launches his singing career and the boys try their best to sell 10,000 Girl Scout cookies. On top of that madness, Jack and Noah discover that Omaha's mayor wants to close the city's swimming pools and schools. Without giving away the book's main plot twist, elections play a key role in this book. The boys learn about politics in Mrs. Gilburg's social studies class, and they use that knowledge in a Big way. The book theme is especially relevant in 2016 as the US heads head toward the election of a new president. Jay wrote the majority of the book in 2014 and 2015, well before he knew who would run for president, but adults will see a few similarities between the candidates in the book and the presidential election. Jack and Noah are not your typical third-grade boys and there's nothing normal about their families, neighbors, teachers or city. In Jack and Noah's Big Election, the boys learn that God and family come first, Crazy Luke still can't be trusted, and sometimes losing is just as good as winning. Along the way, the boys encounter explosions, firetrucks, a disappearing garage, a crazy Girl Scout and multiple trips to the principal's office. Children and adults will let their imaginations run free while they celebrate the big life of Jack, Noah and all their friends.